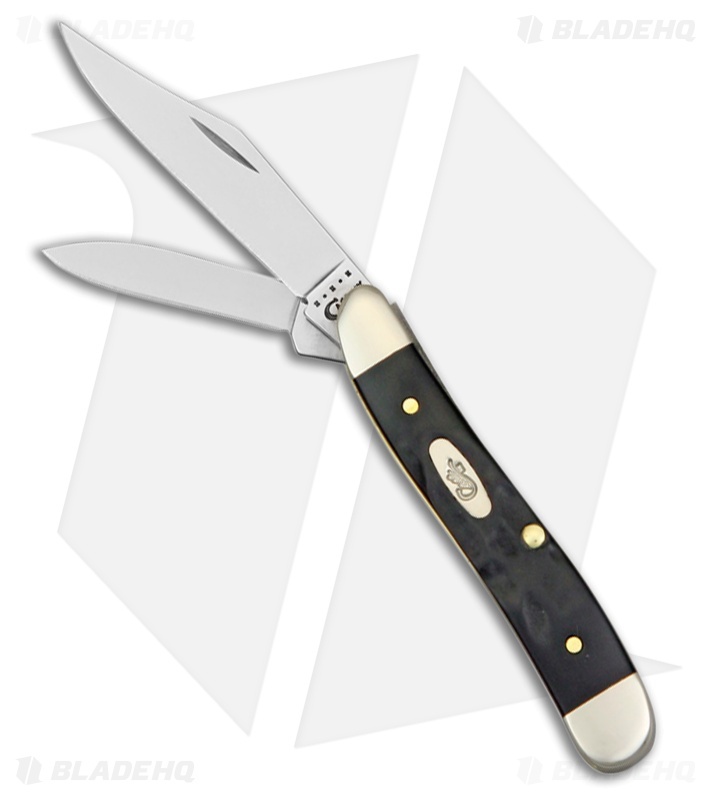 This Case Peanut pocketknife comes equipped with a black synthetic jigged bone handle and a useful 2 blade design. The peanut is small in stature but packs a big cutting punch. This model has a polished clip point blade and a pen blade with flat grinds and plain edges. Nickel silver bolsters and brass pins complete the collectible design.